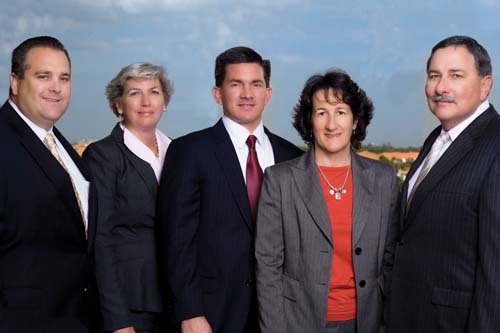 With five partners and a staff of 22, Moore, Ellrich & Neal provides tax, audit, business valuation and business advisory services, as well as litigation support in civil cases, fraud investigations, class actions, contract disputes, lost profits calculations, patent infringements and other types of cases. One of the firm’s areas of deep expertise is marital and family law matters, assisting attorneys in major cases in Tampa Bay, Orlando and Jacksonville, as well as South Florida. Ellrich is a Florida certified public accountant (CPA) whose other credentials include Accredited Senior Appraiser in Business Valuation (ASA), Certified Valuation Analyst (CVA), Accredited in Business Valuation (ABV), Master Analyst In Financial Forensics and Certified Fraud Examiner (CFE). He has testified in both federal and state courts as an expert witness, and served four years on the 15th Circuit Judicial Nominating Commission. In addition to the firm’s professional team in Palm Beach Gardens and its new office in Miami, Moore, Ellrich & Neal can draw on the resources of other independent accounting firms nationwide as a member of the Financial Consulting Group, LLC (FCG). The firms pool their knowledge in the field of business valuation in order to increase their technical competence, staff knowledge and to develop new products and services. Ellrich was honored with a U.S. Treasury Special Achievement Award when he left the government to launch his own private practice. He has worked as an IRS instructor as well as lecturing at university-level accounting graduate programs. In 1988, Ellrich merged his practice with Becky Moore, to co-found Moore and Ellrich. Two years later, they married and collectively they have three children. They like to spend time with their family and vacation in Utah where Ellrich is able to enjoy his passion for hunting, fishing and horseback riding. A decade after opening the firm, Karyl Neal became the third shareholder, followed by Matthew Stohlman, Matthew Smith and Terri Melton. Joshua B. Angell, CFA, is senior manager of the Valuation Advisory Services practice. In January, Ellrich opened a new office in downtown Miami with a staff of three. “When you drive south down I-95 to Miami and Coral Gables, you can see new office buildings going up, as well as the business activity sparked by the region’s largest airport and seaport,” he says. In addition to geographic expansion, Ellrich is also committed to the ongoing training and professional development of the firm’s team. He is also a role model for education, having earned a graduate degree in accounting in 2012 from Stetson University.